Historically, stained glass domes have only been available to the wealthiest members of society. Prior to Stromberg’s innovative solution for manufacturing an affordable stained glass product, grand churches and cathedrals, significant government buildings and the private homes of the super wealthy were the only places where one could appreciate the beauty of these amazing architectural elements. 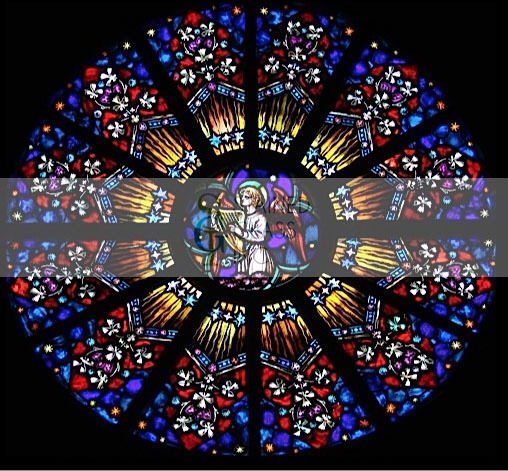 Fortunately, thanks to Stained Glass Inc.’s ability to mass produce stained glass at an affordable price, stained glass domes are more affordable, durable and structurally sound than ever before. 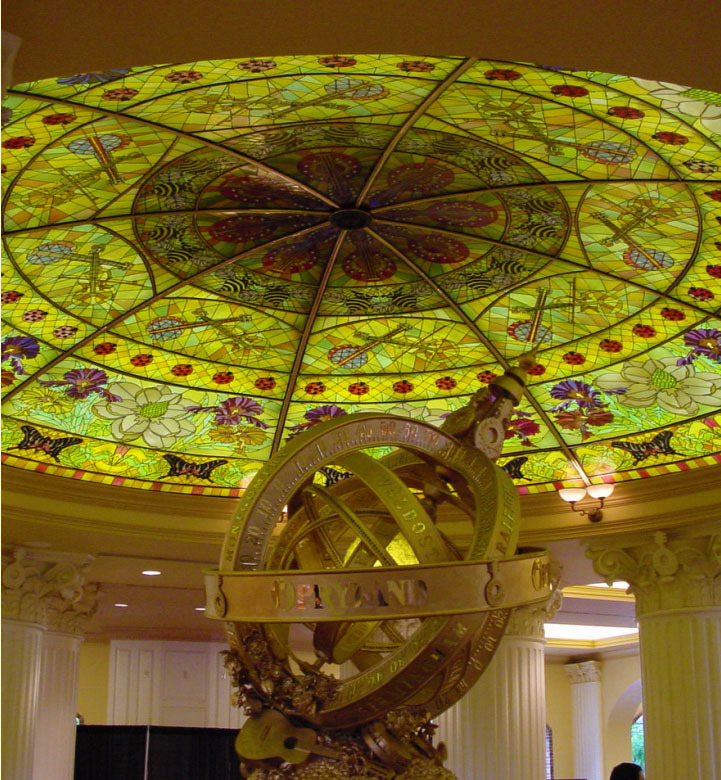 Stained glass domes present several complicated design challenges. Not only are traditional stained glass domes extremely fragile, they can also be heavy, and they need access to direct sunlight. 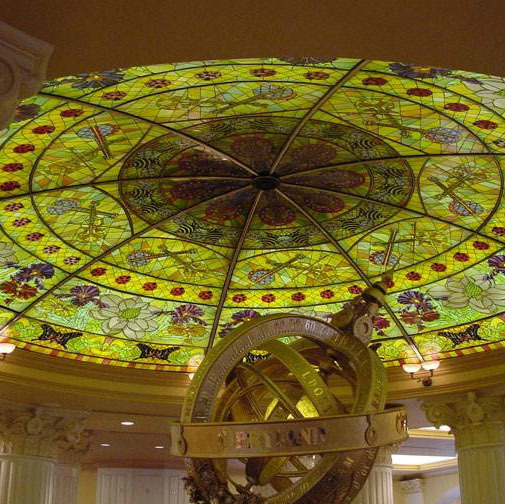 Due to their comparably light weight, the flexibility of craftsmen and the potential for using LED backlighting instead of natural light, our custom stained glass domes evade all of these design pitfalls. 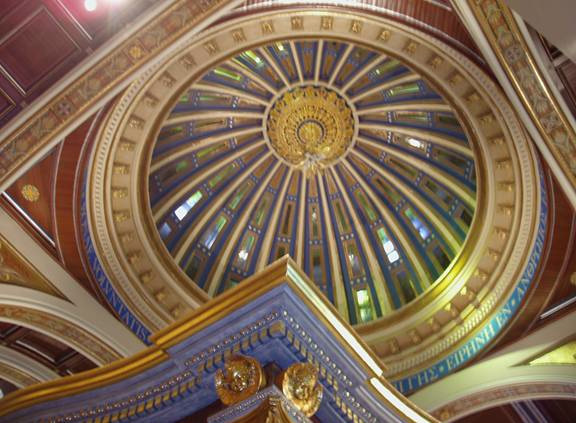 Whether you are redecorating your home or you are designing a new church, we provide you the creative freedom to design your stained glass dome with any motif, size or shape to ensure that we provide the perfect dome for your project. Traditional stained glass may be beautiful, but it is notoriously fragile. It is for this reason that we developed a more durable and shatter-resistant variety of stained glass that is substantially more tough than other types of stained glass. This means that you won’t have to worry about harsh weather like hail storms or heavy snow. These domes are even resistant to light debris caused by wind storms or construction. With our modern stained glass domes, you can rest assured with the knowledge that your stained glass is just as tough as it is beautiful.